Eric Saarinen doesn’t think all those wrinkles – he calls them dimples – on the Gateway Arch were an accident. His father, Gateway Arch designer Eero Saarinen, loved texture, Eric said when he spent a day recently admiring the monument. 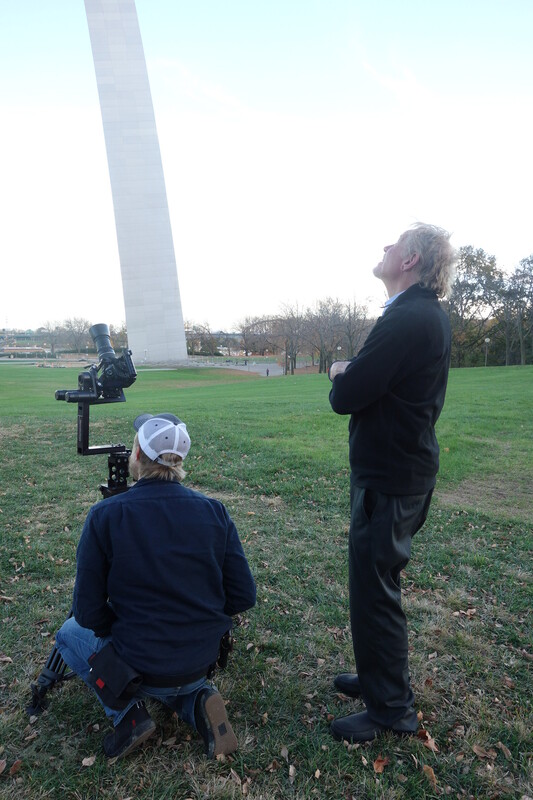 Eric came with acclaimed filmmaker Peter Rosen, who is producing a PBS American Masters documentary called “Eero Saarinen: The Architect Who Saw the Future” set for broadcast in 2016. 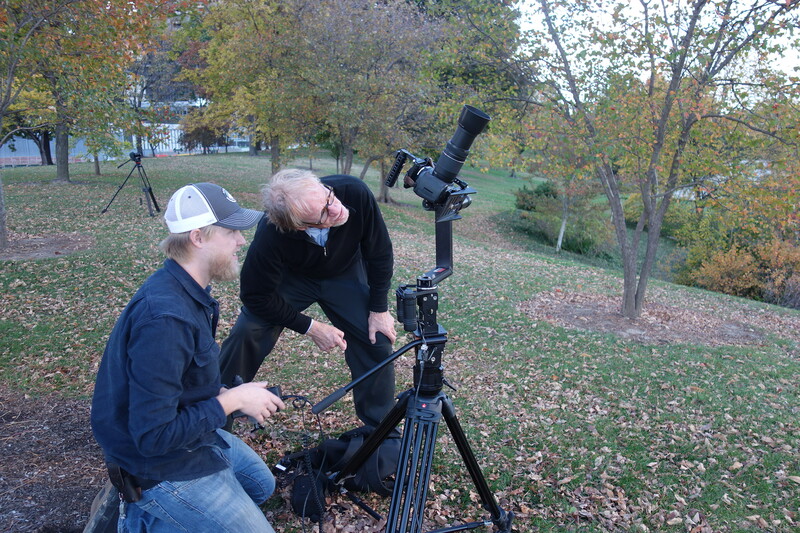 Eric is a videographer who has made some incredibly imaginative commercials. 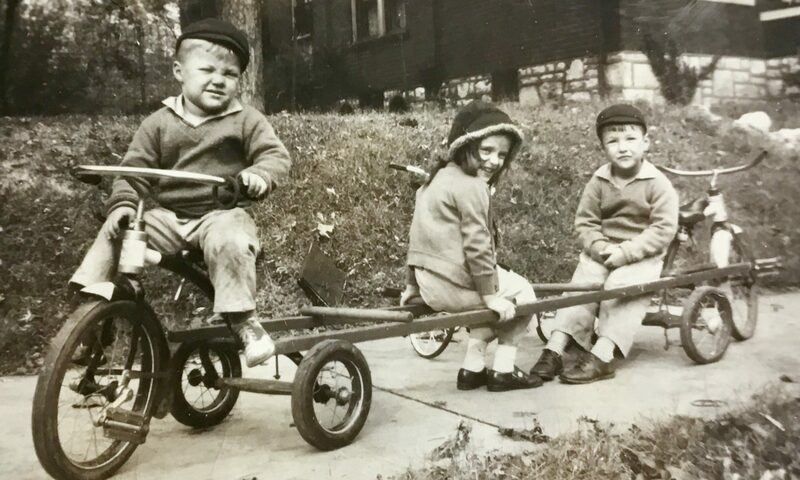 While I was researching The Making of an Icon, both Eric and his sister Susan Saarinen shared intimate details about growing up with their famous father. Eric told me he had only recently forgiven his father for never being home and for leaving his mother for a beautiful art critic from The New York Times. I felt I made friends with Eric and Susan as I interviewed them. 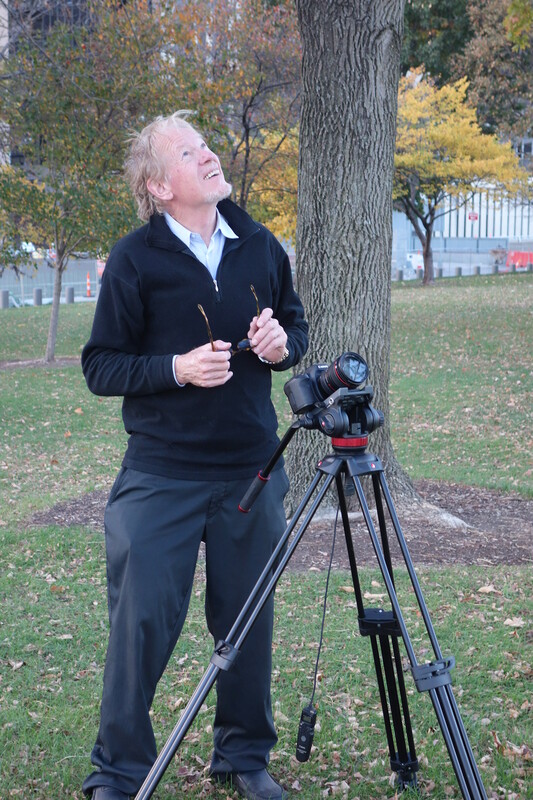 So I was thrilled to be on the Arch grounds on October 28 as Eric looked into a camera held by Rosen and made observations about the monument. 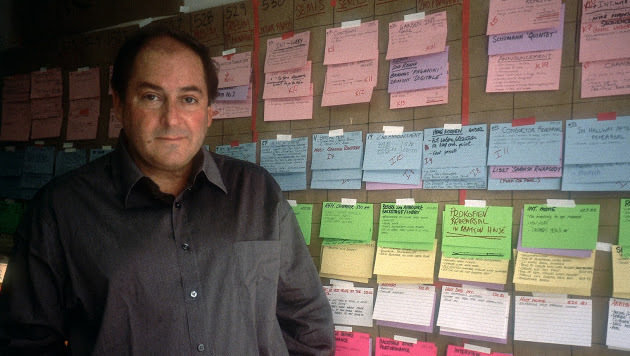 “This is a very important film for me because I got to kind of like interpret his work as inspiring today, maybe bring his name back up and show the world that or at least show the country that he was a very important part of the spirit of the country” Eric told me. Eric has definite ideas of why the Gateway Arch is such a gem. Eric’s sensitivity and personal knowledge of his father make him the perfect on-camera commentator for this documentary. I look forward to seeing it in 2016. Between Rosen’s skill and Eric Saarinen’s inside knowledge, it should offer insight into the legacy of the great Eero Saarinen available nowhere else. Photos courtesy Peter Rosen Productions, Inc. Thanks Jim. Too bad we can never film it again as it was intended to be seen. Here’s hoping your work can make people aware of how your father wanted it.